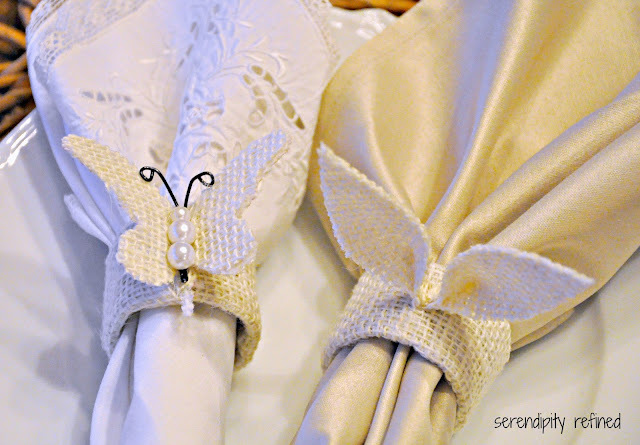 I realize, of course, that this is a little "last minute" but these napkin rings are super simple and you can make a dozen or so in under an hour...honest. 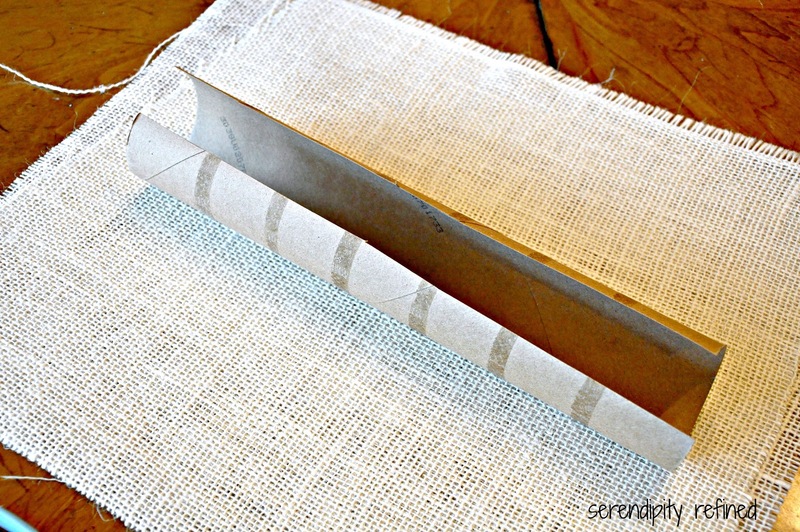 The process to make them is the same and you've probably got the materials on hand : Burlap, fusible interfacing and an empty cardboard paper towel tube. 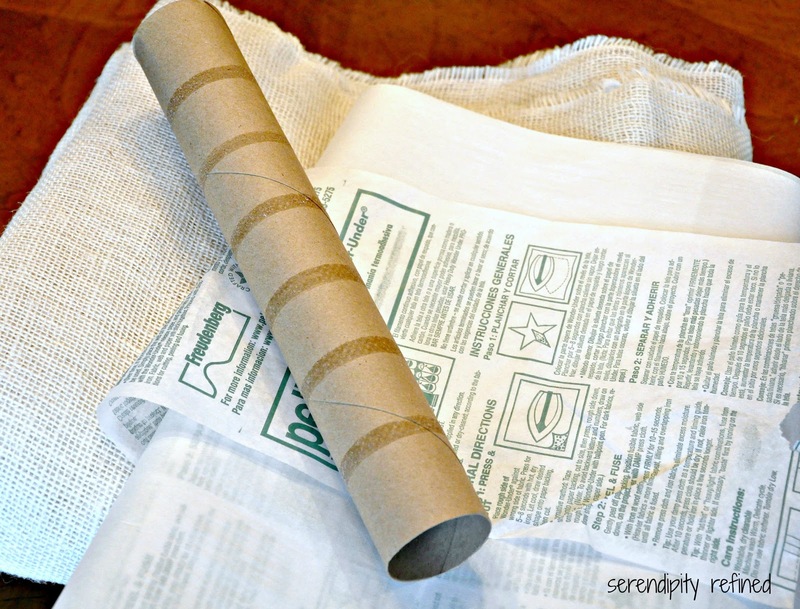 You'll also need some hot glue, scissors and a pencil or marker. 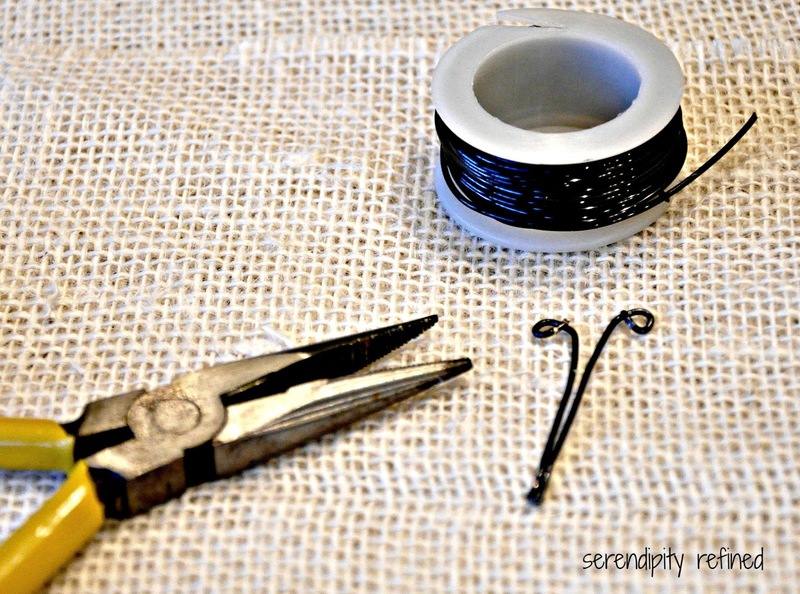 I happened to have a disappearing ink marker leftover from a sewing class that one of my sons took. And yes, I did say son. In case you're not familiar with it, fusible web is a paper backed adhesive that you iron onto fabric when you want to adhere it to another fabric. 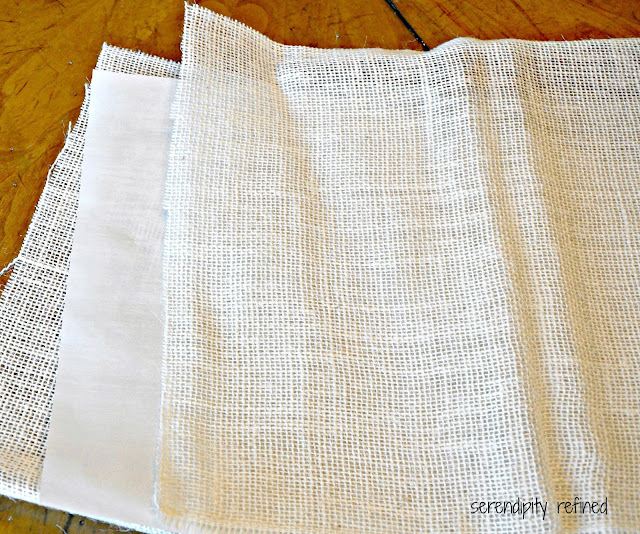 Some people use it when the applique, I use it to keep burlap from fraying when I want to make it into small shapes. 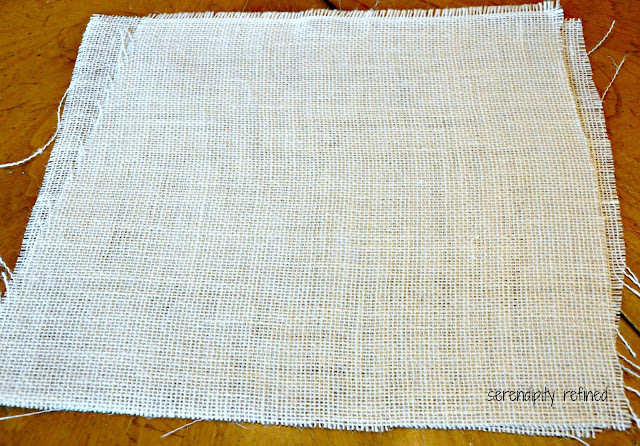 The result is a nice, thick, piece of burlap that will stay together when you cut it. 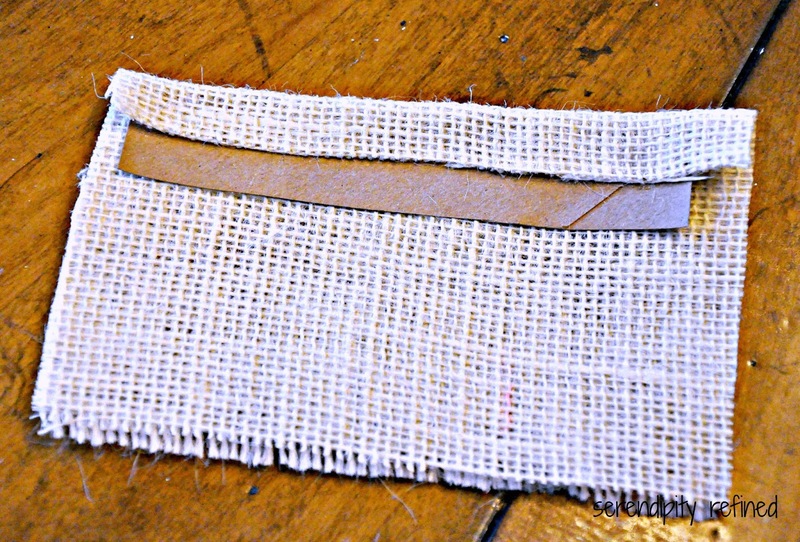 Wrap each strip in a piece of burlap making the seam in the middle of what will become the "inside" of the tube. Simple enough so far, right?! 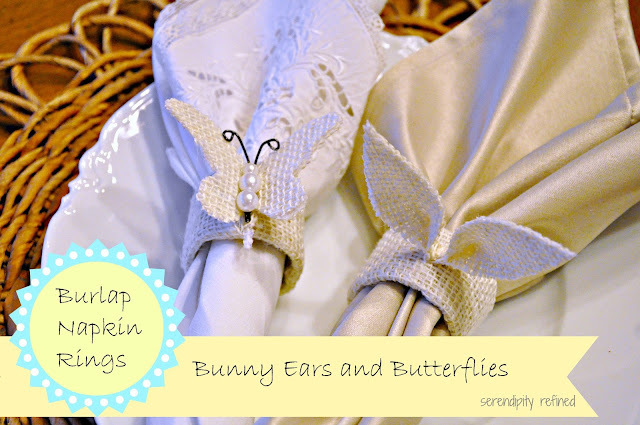 Well, this is where the choice comes in: Cut either one butterfly or one pair of bunny ears....or, if you're like me and you can't make up your mind, make some of each. To make the butterflies: Cut a butterfly shape from card stock. 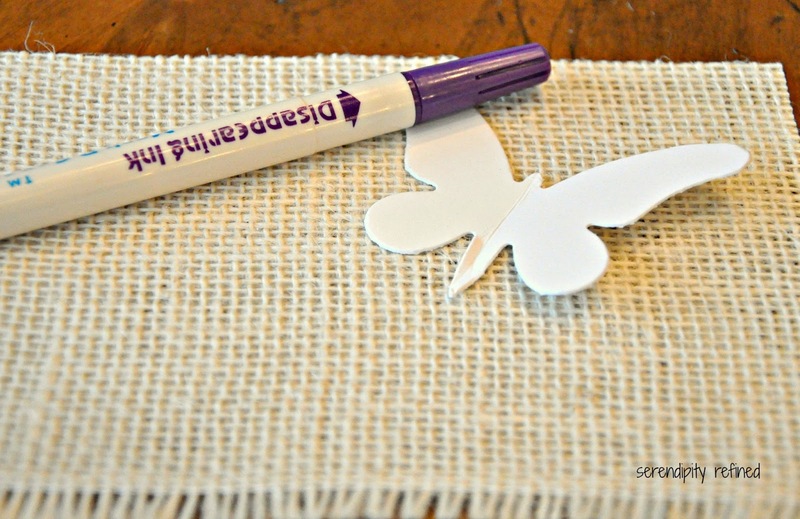 Using a marker, trace the butterfly onto the burlap and cut it out. 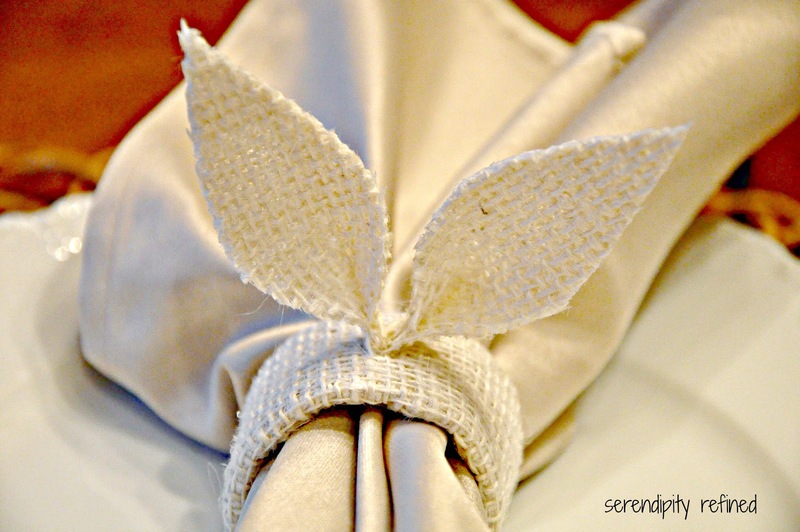 Using wire or a pipe cleaner, form a "body" and antennae. 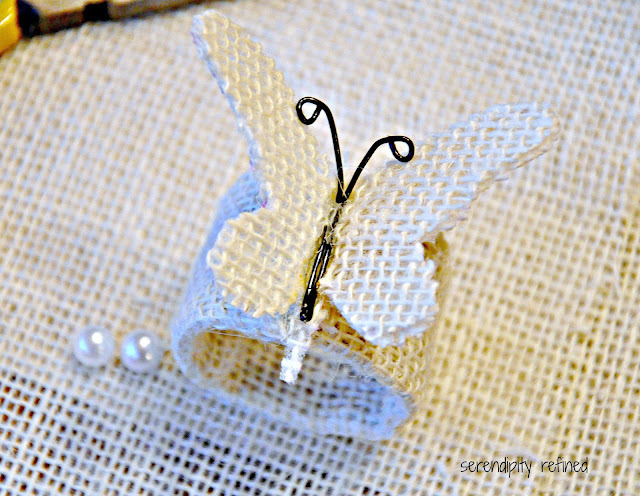 On the "top" of the butterfly, make a line of hot glue in the center of the butterfly, lay the wire in the glue and bend the wings upward slightly. 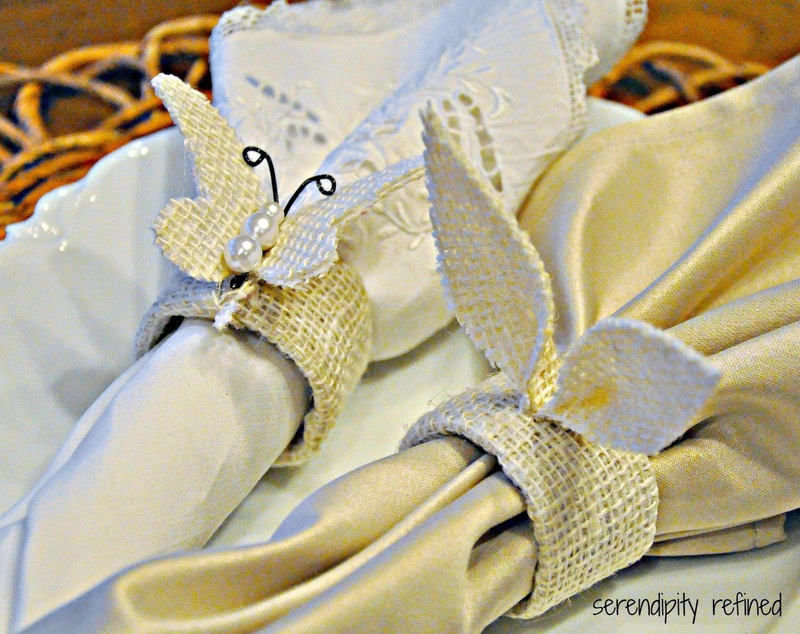 Glue the butterfly to the burlap covered ring. 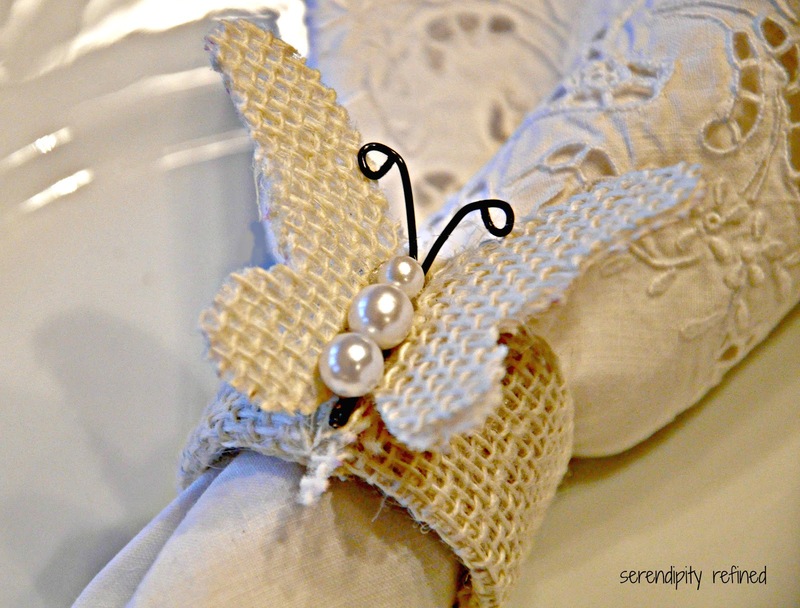 Add some pearls or beads to the body...add sequins to the wings...or not. 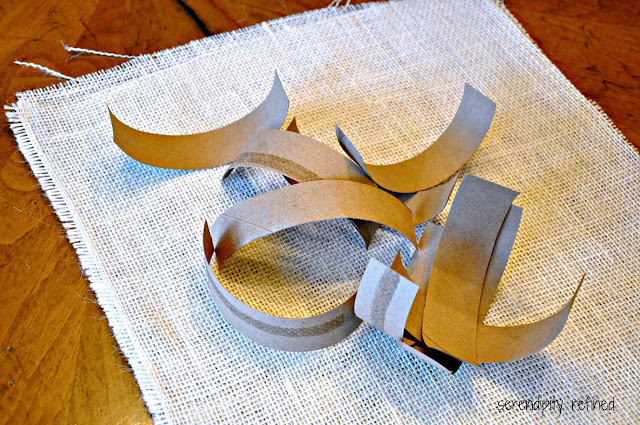 For the bunny ears: Cut an "ear shape" from card stock. 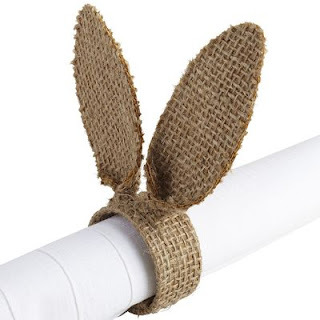 Trace two ears onto the burlap and cut them out. Make a fold in the center of the the bottom of the ear. 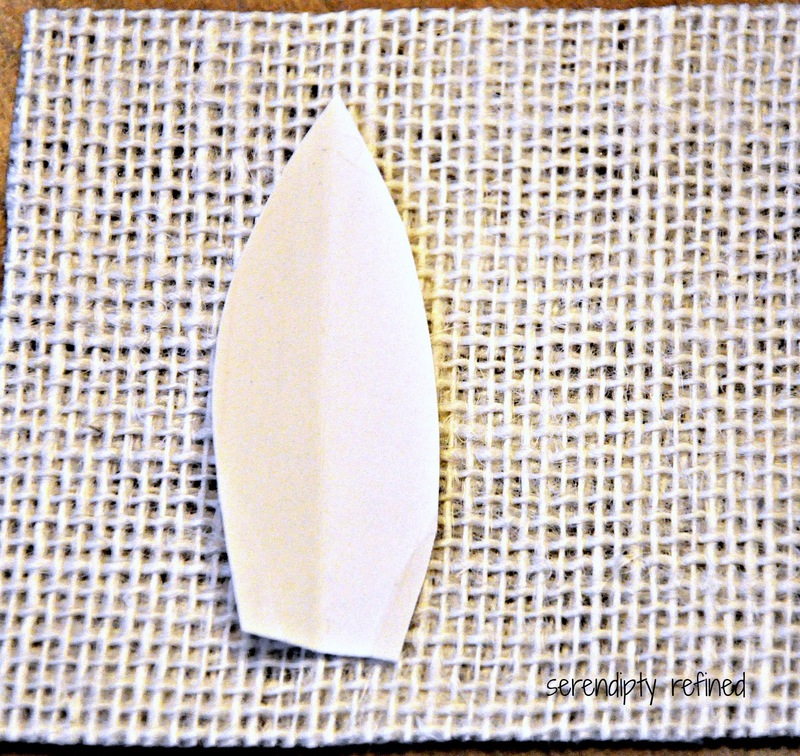 Make a 1/2 inch long line of hot glue that goes from the bottom toward the top. Fold and pinch the ear until the glue cools. 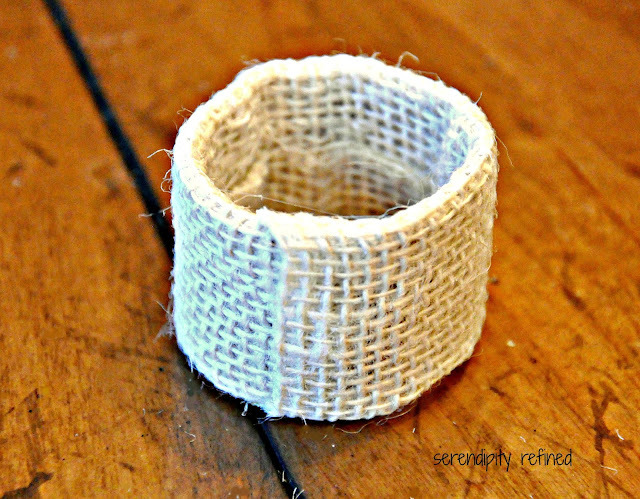 This makes your ears two dimensional and allows them to have a "base" to stand on when you glue them to the ring. I'd love to know what you think because, either way, I'm probably going to have to make a few more. 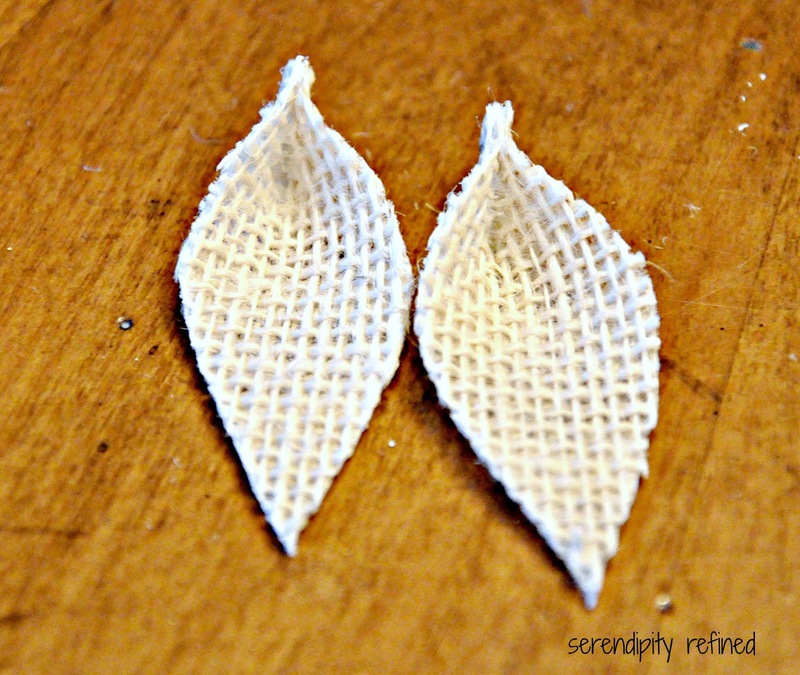 As always, if you decide to make them, I'd love to see them!